Let’s be honest—there’s nothing like throwing on one-and-done pieces like printed dresses during the fall. And even though you probably have more than a few printed dresses hanging in your closet, what’s another one, two, or 17 more? With autumn’s arrival drawing closer and closer, we’re taking into consideration the latest trends too. From dark floral prints to polka dots that work in any season, pair a printed dress with sleek fall boots for an outfit that’s sure to turn heads every time. Here, we’ve gathered chic dresses in the prints you’ll see everywhere this fall. Shop them now. This bold color will turn heads. Wear this to the office and to brunch. We love this dress for fall. Ulla Johnson makes the prettiest dresses. You can’t deny how gorgeous this is. 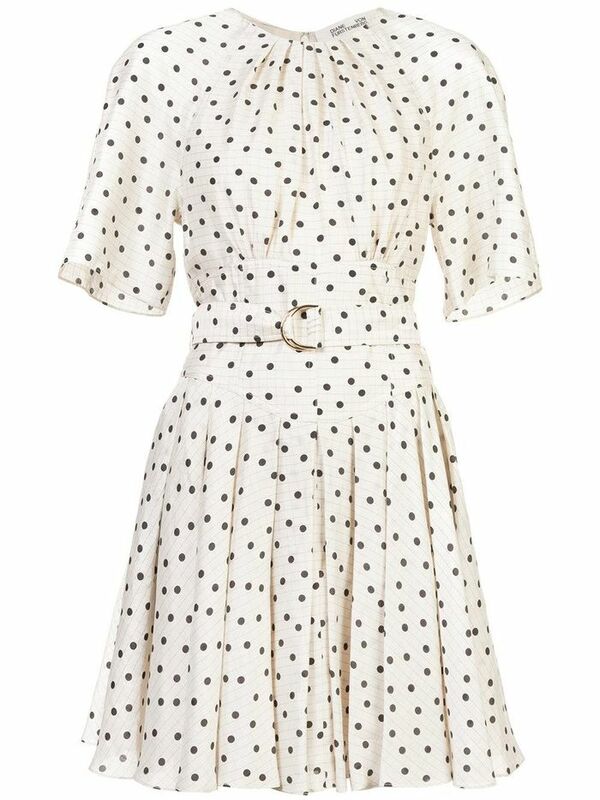 This makes for the perfect transitional dress. We love this boho dress for fall. Perfect for those upcoming special occasions. Style this with over-the-knee boots. This will give you perfect back-to-school vibes. Wear this dress to the office. Leopard print has come back in a major way. This will easily be your new favorite dress. You can always count on Alexa Chung to design the coolest pieces. Wear this dress to a fall wedding. No matter how you style these dresses, you’re sure to have a foolproof outfit.